Modern Luxury Penthouse to fit your lifestyle. You've found your pied-a-terre or luxury resort home that places you in the heart of the activity of Honolulu'”Fully furnished and the highest floor one bedroom in the building! You'll love the convenience of Ala Moana Shopping Center out your front door along with easy access to Waikiki and Downtown Honolulu! The amenities are above and beyond-featuring a salt water infinity pool, fitness center, chef's catering kitchen and so much more. The quality finishes are outstanding from the moment you walk in the lobby to your top of the line cabinets and appliances. Consider renting while you're away for income potential. Pet friendly too. 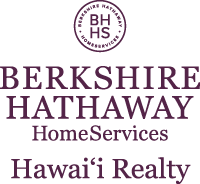 I am interested in 1555 Kapiolani Boulevard UNIT PH 2210, Honolulu, HI 96814. Sign up for Inside AccessTM to view recent sales near 1555 Kapiolani Boulevard UNIT PH 2210.